The Central Washington PGA Chapter Sun Willows Golf Course Pro-Am is in the books. It was a beautiful day at Sun Willows Golf Course in Pasco, WA and there were some great scores by both Professionals and Amateurs. Congratulations to Craig Lanning of Pasco Golfland for being 1st Place Professional with 41 stableford points. Congratulations to Kyle Davis of Columbia Point GC and Brian Barton of Pasco Golfland for being tied as Amateur medalist with 39 stableford points. The Central Washington PGA Chapter Appletree Resort Golf Course Pro-Am is in the books. 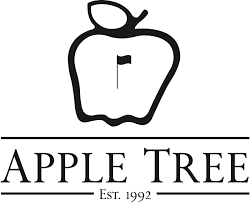 It was a nice day at Appletree Resort Golf Course and there were some great scores by Professionals and Amateurs. Congratulations to Ryan Dahl of Wildhorse Resort and Casino for being 1st Place Professional with 39 stableford points. Congratulations to Rick Gleed of Canyon Lakes Golf Course for being Amateur medalist with 39 stableford points. We want to thank Kevin Anderson and his entire staff for hosting this great event.